It is dark outside and a pair of headphones wrap around my head. I can’t hear my family, but I can see them standing next to me. On screen, I watch as my gloved fingers sink into the top of a demon’s skull and split it in half like an apple. My brother laughs, my mother gasps. I had gotten him DOOM for Christmas, and he insisted that I try it out on his new TV. My dad used to play the original with us when we were kids until our mom made him stop after one of us got too enthusiastic about the usage of a chainsaw. There was something nostalgic about playing the game, about picking up the shotgun for the first time, or revving a chainsaw as waves of demons ran towards me. About the way their bodies shattered at the touch of my gloved fist. It felt like the game that I thought I was playing fifteen years ago. There is something about violence in games that draws us in, even as we cringe at its intensity. 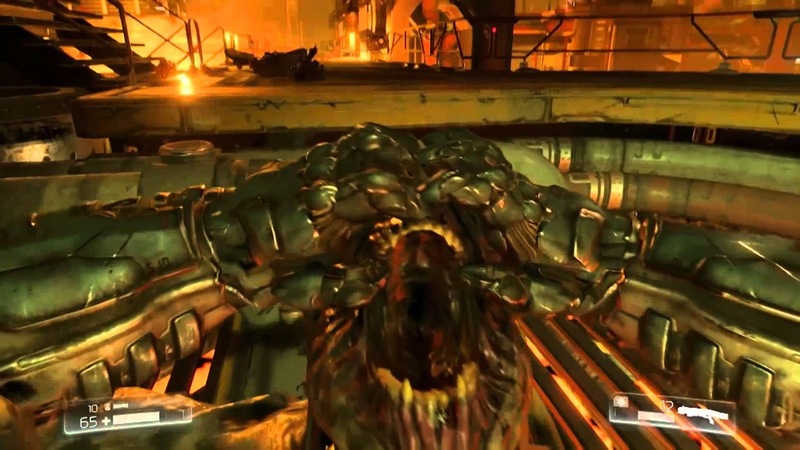 The new DOOM might be a more extreme example than most, but the gaming community has a deep seated love for over the top violence, and we have for years. There is something about violence in games that is compelling. Whether that be with a pixelated chainsaw as a child, or with a 3D rendered one as an adult. Dozens of games have marketed themselves solely based on the intensity of their violence, and I can’t count the number of game boxes that brag about their new “executions” that they’ve included. 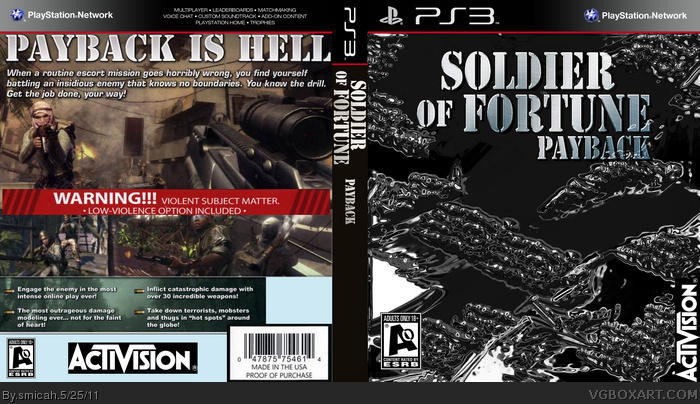 The Soldier of Fortune series only real selling point was its dismemberment system, which it touted highly across the three game franchise. A few years ago there was a big hubbub when The Last of Us was shown at E3 2012, and the trailer ended with a man begging for his life before you shot him in the face with a shotgun. The crowd erupted into cheers as the footage cut to black, but not before we saw what was left, a ruined hole where a man used to be. Many “serious” outlets decried this incident as further evidence of how far gaming has fallen, of our celebration of a veritable bacchanalia of violence. But it is far from a new thing. Why are we so obsessed with extreme violence? While there are many reasons, the roots of gaming are so intrinsically tied in with a sense of rebellion that we have kept going for the last 30 years. From the days when games were experienced largely in arcades, with groups clustered around cabinets as frozen ninja tried to decapitate a flaming ninja. From the days when games were constantly being called out in the media as murder simulators that were too dangerous for children to play. It is almost a self-fulfilling prophecy at this point. Games are bad because they are violent, so we push back by making more and more violent games. “Your Mom hates Dead Space 2.” Ever since DOOM and Mortal Kombat got popular, and the first parent tired to tell their child not to play a game, it was cemented in our collective minds that violence in games was the cool thing. But now games are entering a new era of expression where we are seeing ideas flourish and blossom into amazing things. Our sole method of interaction with games is no longer down the barrel of a gun. We are experiencing new stories and new ways to play that we couldn’t have imagined ten years ago. Games like Gone Home or The Witness not only exist, but manage to also achieve wide mainstream success and stand up next to titans of the industry. Much like film, games are starting to leave their messy adolescent years as they begin to truly find themselves in the wide world of creative expression. As players have gotten older, we are starting to drift away from our violent and rebellious roots. But that isn’t to say that games like DOOM have no place in the industry anymore. Far from it. Sometimes a well made shooter is just what you need.